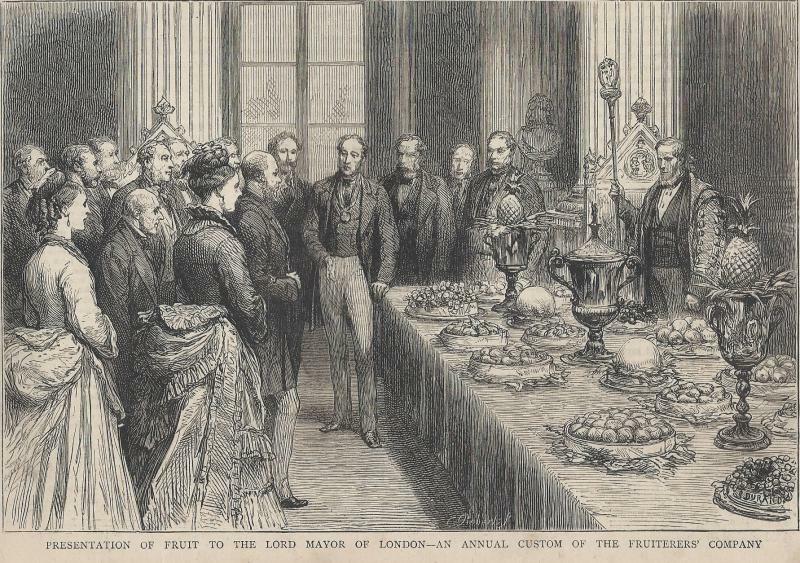 In days gone by the Lord Mayor exercised his privilege of levying a tax in the form of samples of the fruit brought into the City of London. The custom worked smoothly enough so long as London remained at a moderate size, but as the City grew so did the volume of fruit. Thus the burden of the levy became too much to bear, friction arose, the enforcement of the mayoral rights led to disputes and there were many bitter quarrels. Fortunately, common sense prevailed and the genius of both parties employing compromise as a solvent for troublesome situations came to the rescue! The Fruiterers’ Company undertook to pay an annual tribute of fruit to the Lord Mayor in return for a surrender of his Lordship’s right to exact a toll of supplies sent to the market. These days, the fruit becomes part of the Fruit Gifting Programme, with the Fruiterers’ Company, motivated by its charitable objectives of raising funds from within the Company to provide regular deliveries of fruit to the Hostels and Refuges in and around the City of London. 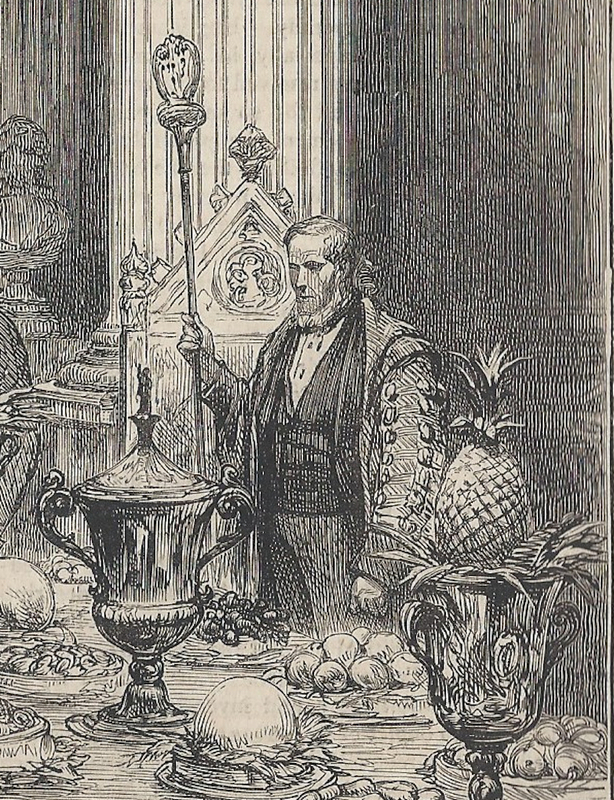 On 13th October 1892 “The Times” Newspaper reported that it was understood that the Beadle John Galvin Syer had seen no less than 57 of these annual Presentation of Fruit to the Lord Mayor ceremonies.